Electrical work is dangerous, especially on oilfield and gas job sites, unless handled by an experienced, highly trained team. 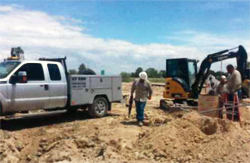 At G2 Ram Electric, we get the job done safely, on time, and on budget no matter the size or scope. 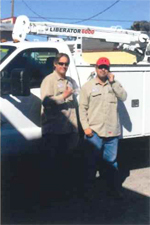 G2 Ram Electric has been serving commercial and industrial customers in Pecos, TX; Odessa, TX; and Kermit, TX since 2014. We are fully licensed, bonded, and insured, and our experienced, certified technicians can provide efficient, timely service for all your company’s electrical needs. Our electrical expertise includes all types of jobs, such as new construction and remodeling electrical work, outdoor electrical, lighting hookups, pumping unit hookups, automation services, tubing and instrumentation, and excavation services. We want to become your contractor of choice for all your electrical requests. At G2 Ram Electric, we strive for more than one-time service calls. Instead, we’re focused on building client loyalty by always providing ethical and fair service. Master service agreements (MSA) can save everyone time by outlining the risks and responsibilities of a complex project. After spelling out the basic terms, all that will need to be addressed later on are the project-specific terms. Since oil and gas operations involve multiple employers, many workers, and various objectives on a single work site, an MSA can benefit both parties. We meet all the requirements to establish an MSA with any company, so just contact us with any questions. 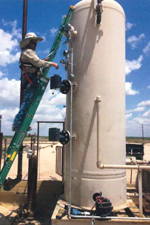 Our team provides trusted electrical support to Texas oilfield companies and commercial businesses in the area. We build strong relationships with our clients, and we’d love the opportunity to earn your loyalty. Contact us today to learn more about our services and how they can benefit your everyday and project operations.